I have been a fan of streaming TV for years. I refuse to pay for cable when I can get all my shows, and binge watch SO many more for less than half the cost. 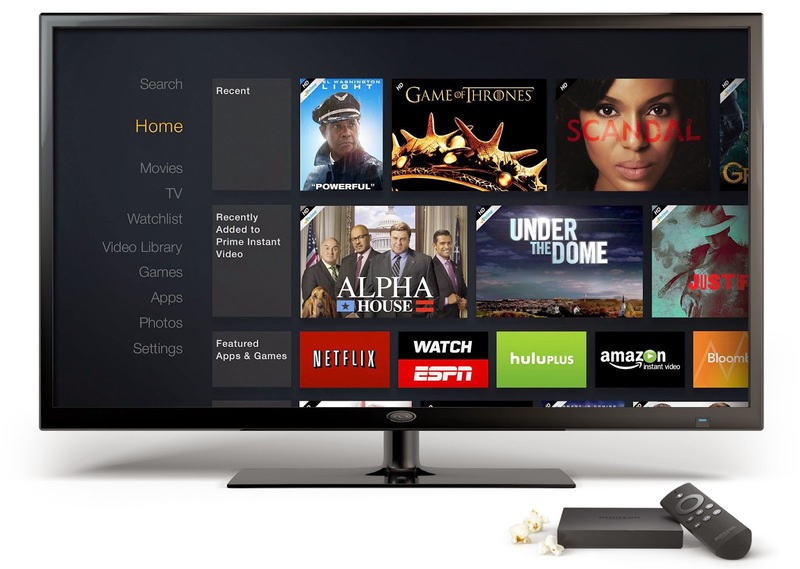 Amazon Fire TV is a box which connects to your tv it can even connect to your HDTV. You can enjoy things like Amazon Instant Video, Hulu Plus, Netflix and more just to name a few. Okay so lets look at cable and satellite you get maybe 500 channels? Now lets look at the Amazon Fire Tv over 200,000 Tv episodes, movies, music and games to choose from which.............wait for it................. DON'T HAVE COMMERCIALS! Yeah I know that cable and satellite have DVR's but you still have to fast forward through the commercial and sometimes you go to forward, or it freezes or whatever and you find yourself watching it anyway. If you purchase a Amazon Fire TV you get a free 30 day Prime trial which gives you unlimited access to thousands of popular movies and TV shows including series from HBO. One of my all time favorite things about the Amazon Fire TV is the voice search. You don't know how wonderful this feature is until you have it! So you would think with the awesomeness of the Amazon Fire Tv it would be hard to install but really its not, just plug it in and go, you can even register you amazon account so you can enjoy your favorite titles and personalized recommendations. I love the instant streaming, Amazon Fire Tv has a feature called ASAP which predicts what movie or tv episode you'll want to watch and buffers them for playback before you hit play. Amazon Fire Tv has Amazon FreeTime which if you have the Kindle Fire HDX and kids you know this feature. I love this feature I wish I could get it on all my devices, its that great! Well for those of you that don't have the pleasure of Amazon FreeTime it allows you to set a limit on how much time your kids watch tv. Like for myself I try and let my kids watch one episode before doing school work so I set up so they can only do just that. Its great, so much better than battling it out with why they need to do their school work and not watch whatever. Amazon Fire Tv also has a gaming mode which lets you play games like Minecraft-Pocket Edition, MU, and The Walking Dead, along with free games and Amazon exclusives. Paid games start at .99 cents, which worried about your kids dropping some money on games this is another great feature you can control with Amazon FreeTime. So again why are you still paying for cable or satellite when you can have all your favorite movies, shows, music and more all on your big screen tv, when you can purchase a Amazon Fire Tv for a flat rate of only $99 and never have another bill again! You can purchase your Amazon Fire Tv by clicking here.